One text; five critical approaches – that is the premise of Voices of Discord – Kate Tempest, Criticism and Modes of Discourse. Students often struggle with the concept of critical methodology and grasping the fact that the results of an analysis are shaped by the angle from which you approach the text. 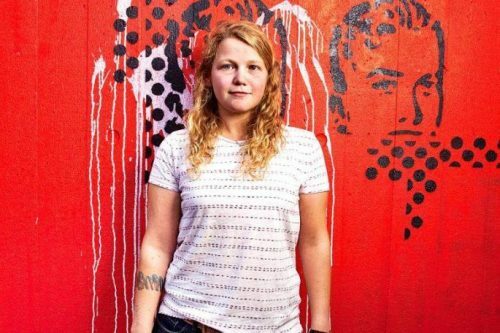 The aim of this module is to analyse the same core text – War Music / Ballad of a Hero by British poet and spoken word artist Kate Tempest from five different critical perspectives. The module utilizes different variants of War Music in order to highlight the difference between poetry as read (text on paper), utterance (spoken word performance) and song (musical performance). In terms of basic methodology, the mainstay of this step is the chapter on critical approaches in Trine Østergaard, The English Handbook (Systime, 2017). In the second step, students are given an introduction to discouse analysis with an emphasis on the terminology of French political theorists Ernesto Laclau and Chantal Mouffe and the Three Dimensional Discourse Model by the British linguist Norman Fairclough. The key analytical concepts are applied to George Bush and Osama bin Laden’s speeches on the night of the first US attack on Afghanistan in the immediate aftermath of the 9/11 as well as Tony Blair’s speech on Iraq 20 March 2003 and subsequent apology for the Iraq war on 6 July 2016. The aim of this step is to train key concepts (framing, articulation, nodal point, chain of equivalence, chain of difference, floating signifier, antagonism, hegemony, discursive power) in the analysis of political language in relation to war and clarify the notion that language is inherently ideological. At the same time, this step widens students’ historical knowledge of global and socio-political issues in Britain. In the final step, the methods of discourse analysis are applied to Kate Tempest’s poem as an example of an antagonistic anti-war discourse. Online historical material on the wars in Iraq/Afghanistan and Bristish attitudes to these wars.